Don't forget your coffee for Easter!!! Innkeeper's will be closed on Easter Sunday. 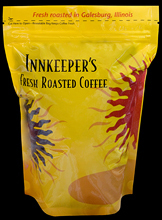 Get a pounc of Innkeepere's Blend today!